Syria, Iraq, Libya, Afghanistan, and Yemen are good examples. Once you submit to one of these 4 forms of Turkic evil you are no longer under attack. Lebanon, Jordon, and Azerbaijan are also good examples. The Ashkenazim and Sephardim Jews are not Israelite, but with the Ottomans they invented Zionism. Now, only pointing to them considered Anti-Semitism, although they are not Semites at all. These are the enemies of Hitler and the Nazis; and before them were the enemies of Alexander the Great. Russia must stop the Turkification of Iranians, and return Iran to Iranians. Russia must stop the Turkification of the Caucasus, and return it to Caucasians. Why did the Azeri people shift from speaking a Northwestern Iranian language to the Turkic language we all know today? Azeri was the dominant language in Azerbaijan before it was replaced by Azerbaijani, which is a Turkic language. This language was known as Old Azeri or Azari and had affinities to the Talysh languages that are spoken nearby. Many linguistic islets are said to persist into the 19th Century while certain Iranian dialects that is still spoken in the area is said to be descendants of the former language. 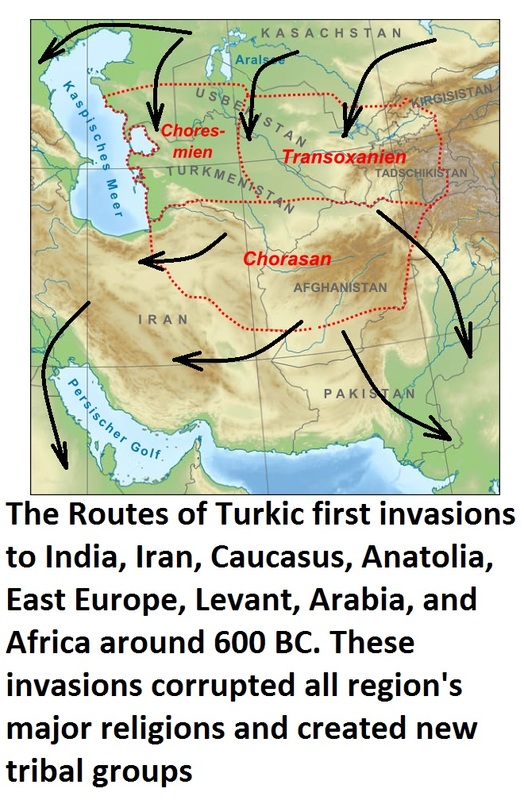 Turkic Languages do not originally belong to west of Caspian Sea but central Asia. People of west Turkey and northwest of Iran and Azerbaijan countries (roughly Anatolian plateau) were once speakers of Iranian, European, Semitic, Caucasian, Slavic and some other Languages. Some of them first abandoned their native languages in favor of Greek due to Hellenization. 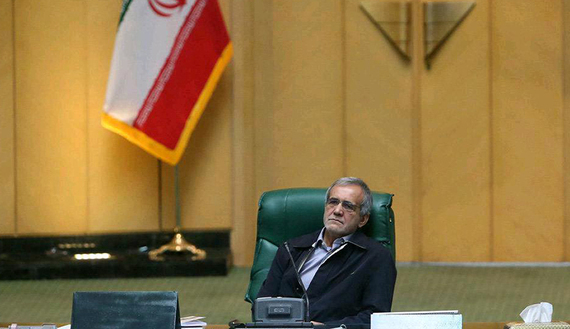 The unprecedented formation of a cross-factional parliamentary group of Turkic speakers stirs controversy in Iran. 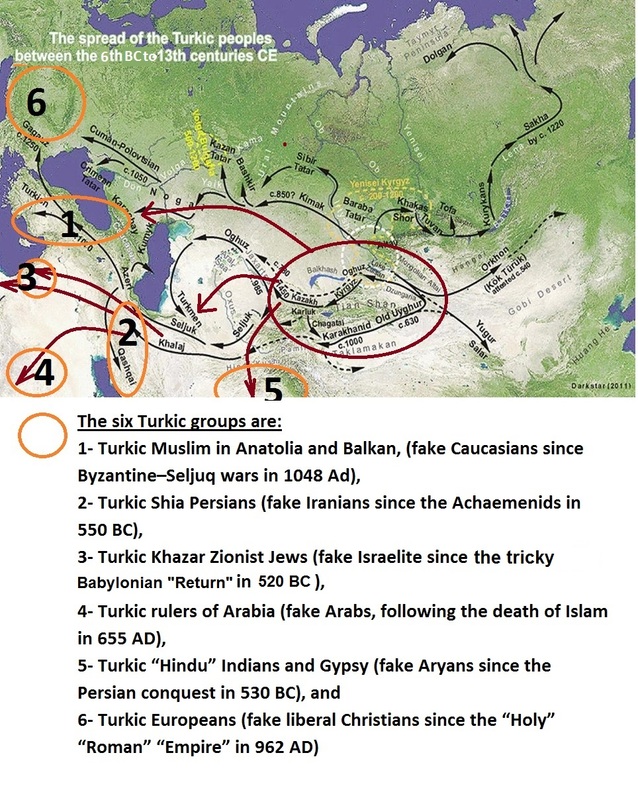 1- Shiism, Sunnism, and Sufism ore just various rival forms of Turkic Islam and all of them are Turkic tool to rule over the Iranians, Arabs, Levant, India, Asia, and Africa. 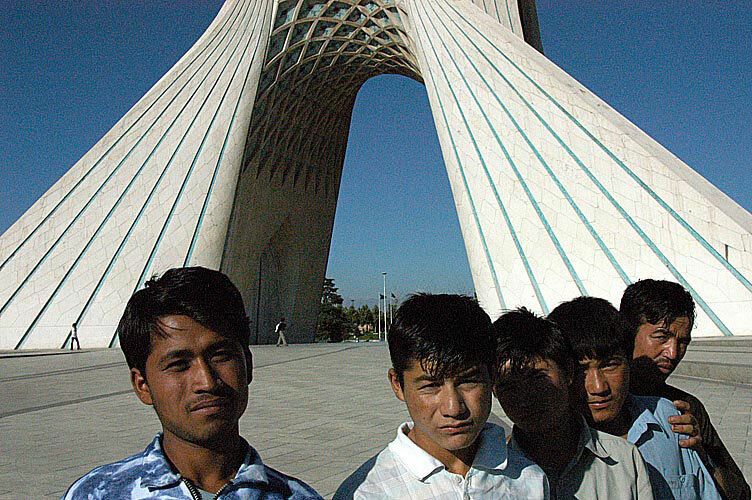 The Turkification of Iran under the leadership of the former President Khatami and President Ahmadinejad has been carried under the banners of “Iranian Aryan Nationalism”. The truth is these people represent the Azeri nationalism or the Azeri version of Pan Turkism and their base of support are Azeris. In their political campaign they always use Persian girls and they paint themselves as the inheritors of the Persian civilization. 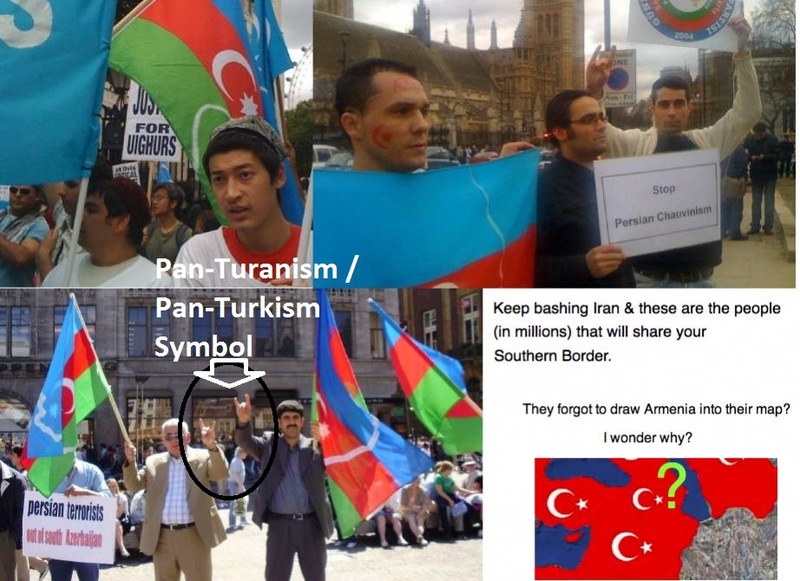 Azeri Pan Turkism talks about uniting the “Iranian” or “Iranic” people, whatever that means. But their true aims is to unite with The Republic of Azerbaijan and bring more Azeri Turks into Iran in order to dominate Iran. 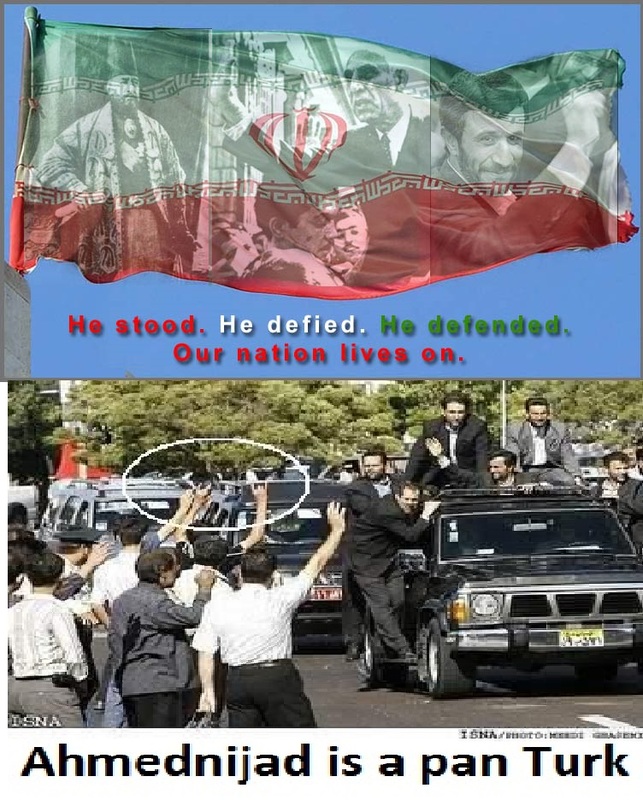 Also it uses the “Iranian” cover and pretending to fight Anatolian Pan Turks. In reality Azeris are real Turks and their Pan-Iranism is the same as their Pan-Turkism but adjusted for the political conditions in Iran. 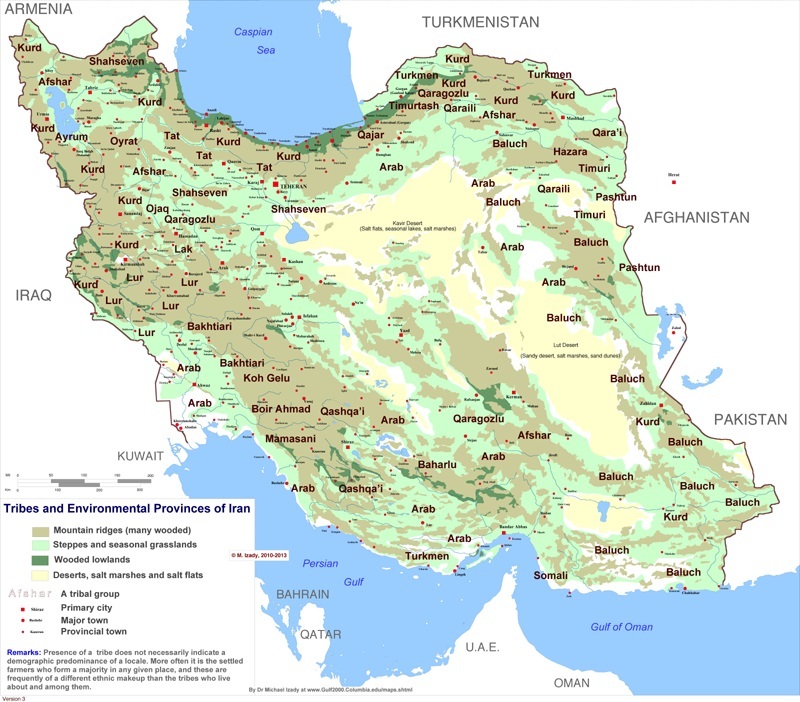 The Safavid conversion of Iran from Sunnism to Shiism took place roughly over the 16th through 18th centuries and made Iran the spiritual bastion of Shia Islam against the onslaughts of Sunni Islam. It also ensured the dominance of the Twelver sect within Shiism over the Zaydiyyah and Ismaili sects, marking one of the most important turning points in the history of Islam. As a direct result, the population of the territory of present-day Iran and neighboring Azerbaijan were converted to Shia Islam at the same time in history. The Safavid dynasty (1501–1736) was Persian and not from Iranian origin. Iran’s population was mostly (90%) Sunni of the Shafi`i and Hanafi legal rites until the triumph of the Safavids (who had initially been Shafi`i Sufis themselves). Ironically, this was to the extent that up until the end of the 15th century the Ottoman Empire (the most powerful and prominent Sunni state and future arch-enemy of the Shia Safavids) used to send many of its Ulema (Islamic scholars) to Iran to further their education in Sunni Islam, due to a lack of Madrasahs (Islamic schools) within the Empire itself. All the sects of Islam appeared after a very long time, more than a hundred years, from the Great Islamic civil war “First Fitna” (during 656 – 661 AD) that wrecked the original Islam . And, all of them appeared under unjust cruel rulers many of them colonizer monarchies unacceptable by the original teachings of Prophet Mohamed (pbuh). By analyzing the indigenous Iranian languages family, it is obvious that the Kurdish Language is the most major native language still remaining in Iran today, and it is very much relater to other ancient Iranian languages. 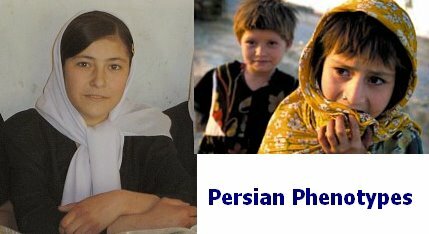 The Persian language (Farsi) is not from Iranian roots but from Turkic roots, and it is of modern origin. 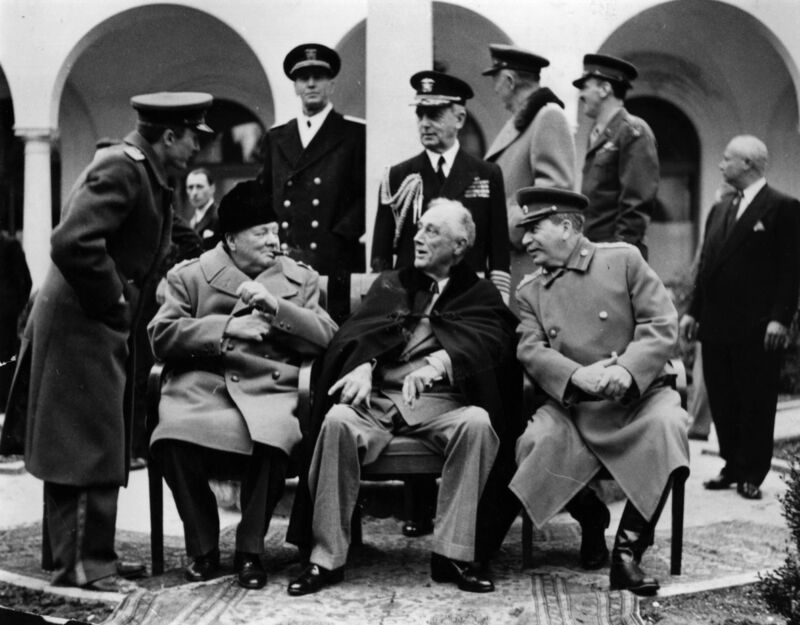 Indeed the three figures who were used to shape the world after WWII, Roosevelt, Stalin, and Churchill are great criminals who must be put in trial for what they did. Without jumping into Antisemitism, it is necessary to check out the Turkic Jewish influence and ancestry of a Dutch, a Cossack, and a Spencer.